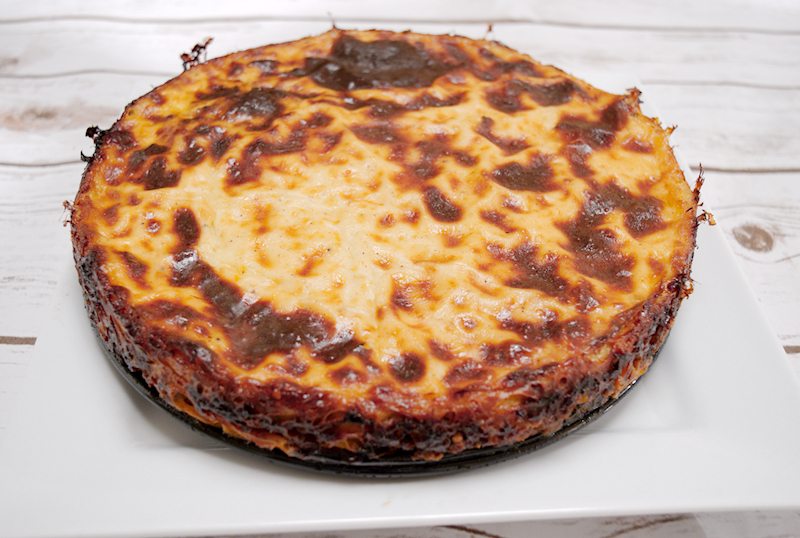 The ultimate recipe for stylish Greek Moussaka cake. Delicious taste and aesthetic pleasure at the same time! 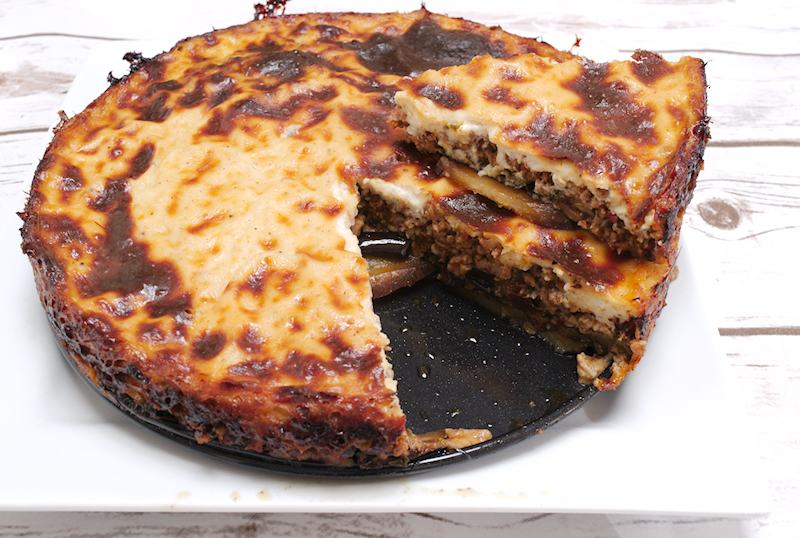 Moussaka is a dish serious food lovers. It’s difficult to explain to someone who hasn’t taste it how all the ingredients blend together to give an unforgettable pleasure to your palate. Apparently, Moussaka has a long history starting from the years of the Ottoman empire. Many regions had their own version of eggplants, potatoes and meat cooked together. In fact, you can taste the history of this dish in the spices used to cook the meat. I am presenting here the Greek version. The Greeks don’t use lamb but rather veal or beef. 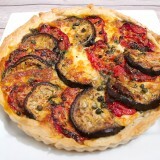 They top it with lovely homemade bechamel sauce and the nutmeg gives the right kick. I have to admit that it’s a time-consuming dish. 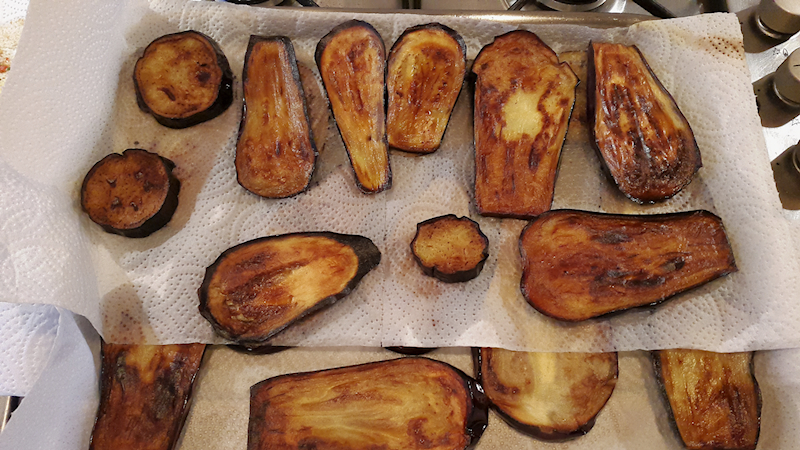 Preparation takes some time and you have to fry all the eggplants, potatoes etc. To make things easier you could just bake the vegetables instead of frying them. 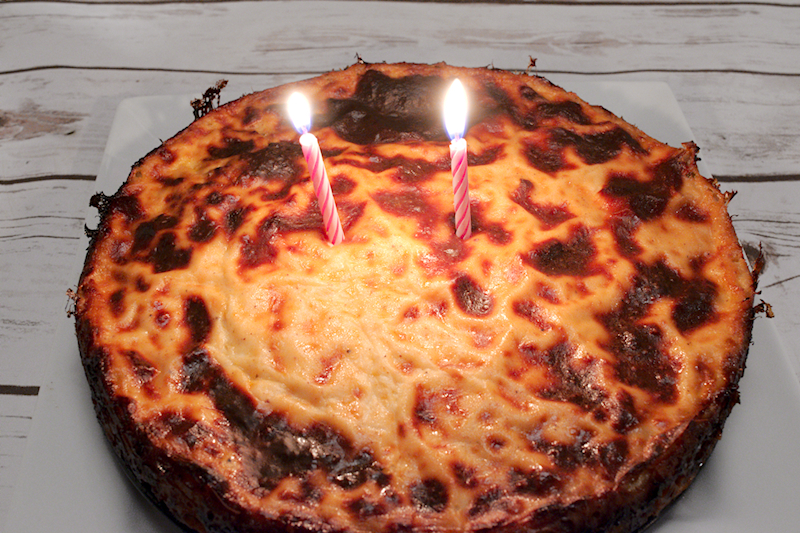 Yes, your Moussaka would be lighter and healthier but…it doesn’t taste the same! Trust me on that. Moussaka is actually a dish that cannot go wrong. I remember, when I was in the navy, the food from the restaurant in the station was terrible. The only thing we enjoyed was the Moussaka. “As long you fry the vegetables, cook the meat and prepare a nice bechamel sauce, you are done. The end-result is awesome.” These are the word from my friend, the sailor-chef! 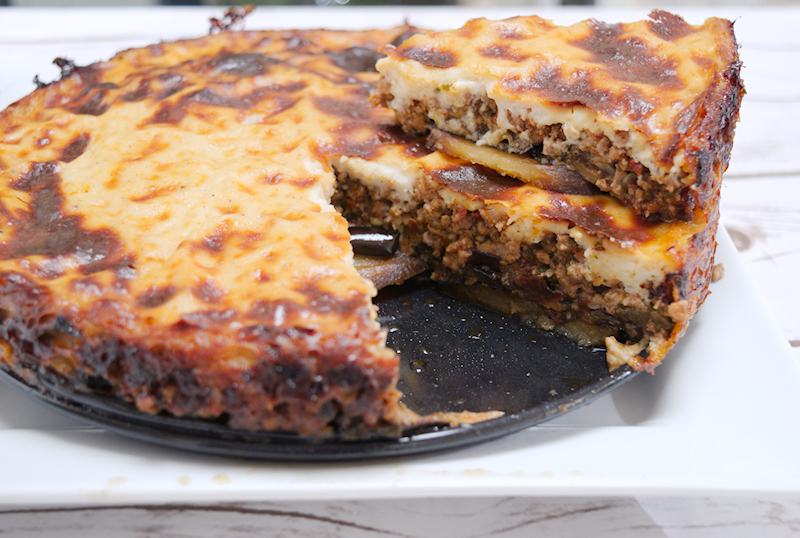 Moussaka is often considered as a casserole dish, which is true. I wanted to give it some style and used a spring form cake tin to cook it. It looks great, don’t you think? You could also use it as a birthday cake, I am sure everyone will love it! You can find instructions for the bechamel sauce here. 400 gr (14 oz) ground beef. 2-3 large ripe and sweet tomatoes. A generous pinch of dried oregano. 100 gr (3.5 oz) grated yellow cheese (Manchego, mature Cheddar etc). 1 ½ cup (may be more) of extra-virgin olive oil for frying. 700 ml (24 fl oz) of whole milk. 100 (3.5 oz) of grated yellow hard cheese. 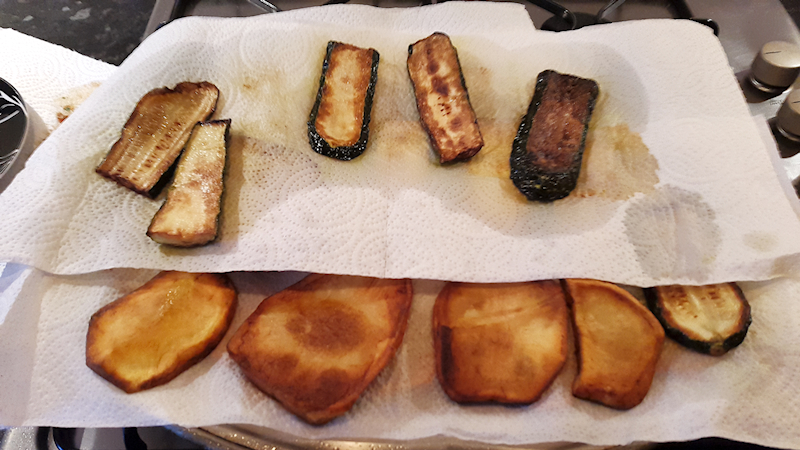 Start frying the sliced eggplants, potatoes and zucchini until golden brown. When ready, place them on a tray covered with kitchen towel to absorb the excess oil. Add 2-3 tablespoons of olive oil in a large frying pan on medium heat and start frying the onion. When the onion starts getting soft, add the ground beef. Add the cumin, oregano, paprika, nutmeg and season with salt and pepper. Stir well and let the beef cook and release its juices. 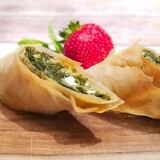 Add the tomatoes, garlic, parsley and tomato paste in a blender, add ½ cup of water and create a smooth paste. 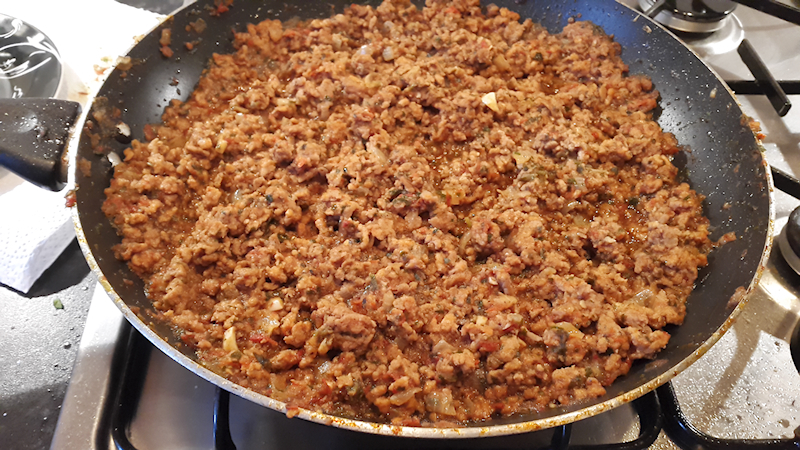 When the beef is cooked and the juices have reduced, add the tomato paste from the blender. Lower the heat, stir well and let it cook for ~ 20 minutes until the juices from the sauce are reduced. Try it yourself to see if it needs more seasoning or spices. Make the bechamel sauce according to the instructions provided in the link above. Use a large spring form cake tin and cover the bottom with a layer of potatoes. Then add a layer of eggplants and zucchini. Season with salt and pepper. Add another layer of eggplants. Spread your beef mixture over and add the grated cheese. Cover the Moussaka with a generous layer of bechamel sauce. 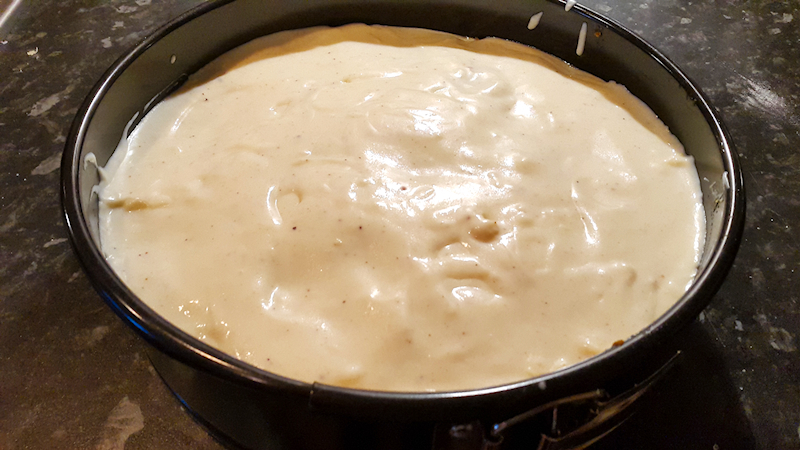 Bake the Moussaka cake for ~ 45 minutes until the bechamel on the top gets golden brown. Careful, your baking tray might leak so you may need to have another on the bottom of your oven to prevent a mess. Let the Moussaka rest for ~ 30 minutes. Remove the side of the tray using the spring. 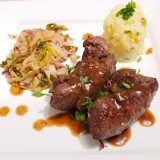 Serve warm and bon appetit!